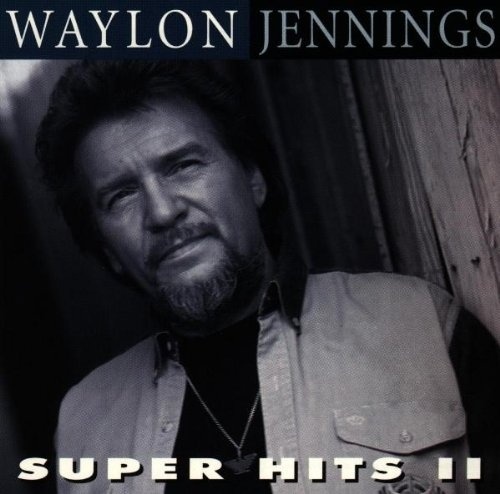 On the face of it, SUPER HITS II might seem an impersonal and somewhat arbitrarily compiled batch of Waylon tunes, but there's a method to the perceived madness. While there are some ostensibly odd choices made here, none of the tunes are less than grade-A Jennings, and they present a fuller picture of the man's varied talents than a by-the-numbers collection might. Waylon's way with other writers' songs is displayed on a pumping version of Neil Young's "Are You Ready For The Country," Chuck Berry's sly "Brown Eyed Handsome Man" and the Marshall Tucker Band's poignant, devotional "Can't You See." His duet with Willie Nelson on ""Mammas Don't Let Yor Babies Grow Up to Be Cowboys" is anything but a perfunctory attention-getter. The subtly effective ballad "Dreaming My Dreams" with you is a particular highlight.